No Halloween candy haul is complete without them. 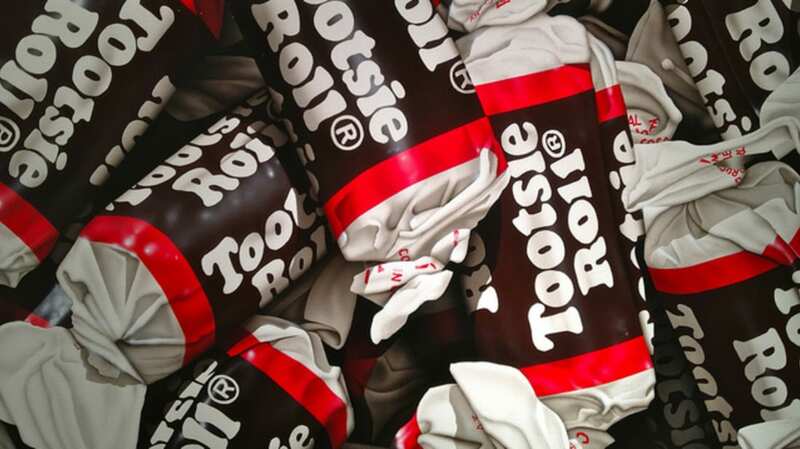 Invented in 1896 by a Brooklyn food tinkerer, Tootsie Rolls have become one of the most ubiquitous sweet treats in the world, with tens of millions produced every day. Here, we unwrap a few choice facts about the storied brand. 1. THEY’RE NAMED AFTER THE INVENTOR’S DAUGHTER. 2. HIRSCHFIELD ALSO INVENTED AN EARLY FORM OF JELL-O. Hirschfield is also credited with inventing Bromangelon, the first commercially successful gelatin dessert. Boxes of the powder sold for around 10 cents, and came in flavors like raspberry, cherry and orange. 3. TOOTSIE ROLLS WERE IN EVERY WORLD WAR II SOLDIER’S RATIONS. The U.S. military valued them a source of “quick energy,” and because they wouldn’t melt in hot weather or go bad over time. In at least one instance they proved to be life-saving: A pilot whose plane was shot down over the Sahara sustained himself on Tootsie Rolls for three days. 4. THE POPULAR TOOTSIE POP ‘SHOOTING STAR’ GIVEAWAY IS A MYTH. Shortly after the invention of the Tootsie Pop in 1931, a rumor began to spread that wrappers featuring a drawing of an Indian shooting an arrow at a star could be redeemed for a free Tootsie Pop. Apparently some stores honored the giveaway, allowing the notion to persist for decades despite the fact Tootsie Roll Industries never sanctioned it. The company, which says that roughly one out of every five wrappers has the drawing, has refuted the rumor, and even came up with a “Legend of the Indian Wrapper” story to entertain customers. And yet the company still receives letters every week from people demanding free Tootsie Pops. 5. THEY FUELED A GREAT ESCAPE DURING THE KOREAN WAR. 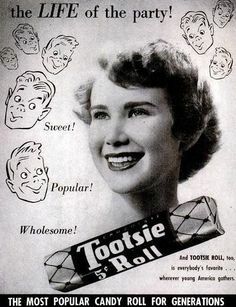 Surrounded by Chinese and North Korean forces at the Chosin Reservoir in 1950, the 15,000-man First Marine Division radioed for an airdrop of “Tootsie Rolls”—the Marine codename for mortar shells. What they got instead were boxes of the real thing. Turns out, though, that the candy boosted morale and kept the Marines going through the subzero temperatures. It also provided one other critical function: Soldiers discovered that chewed-up Tootsie Rolls could patch the holes in their vehicles’ fuel lines, allowing the division to leave their vulnerable position. 6. THEY WERE FRANK SINATRA’S FAVORITE CANDY. According to dead-celebrity expert Alan Petrucelli, Ol’ Blue Eyes is buried with them along with a few other choice effects, including cigarettes, a lighter, and a bottle of Jack Daniels. 7. THE COMPANY’S CURRENT PRESIDENT WAS IN AN AD FROM 1950. Ellen Gordon, 83, who now runs the company after her husband, Melvin, passed away earlier this year, was featured in a Life magazine ad when she was 18. Her father, William Rubin, was CEO of the company at the time. 8. THERE WAS A CAPTAIN TOOTSIE COMIC STRIP. Truly one of the more cringe-worthy superheroes of American comics, Captain Tootsie was a buff blonde lad who undertook odd adventures with kids (like killing bears and punching out bank-robbing cavemen), all while toting around a yellow man-bag full of Tootsie Rolls. First published in 1943, the comics ran as standalone issues and in newspapers for nearly a decade. 9. HOW MANY LICKS? SCIENTISTS MAY HAVE THE ANSWER. Tootsie Roll Industry’s iconic ad, which first ran in 1970, asked, “How many licks does it take to get to the Tootsie Roll center of a Tootsie Pop?” For years, fans have responded with their own assessments, typically in the high hundreds. Researchers at Purdue University and the University of Michigan, meanwhile, took a more scientific approach. Using special licking machines modeled after the human tongue, both teams entered into a Big 10 showdown. The Purdue bunch came up with 364, while Michigan put up 411. So is the true answer somewhere between those numbers? The world may never know. 10. 64 MILLION TOOTSIE ROLLS GET MADE EVERY DAY. That’s more than 44,440 per minute, or roughly 740 per second. 11. THE COMPANY OWNS A VERITABLE CANDY STORE OF BRANDS. 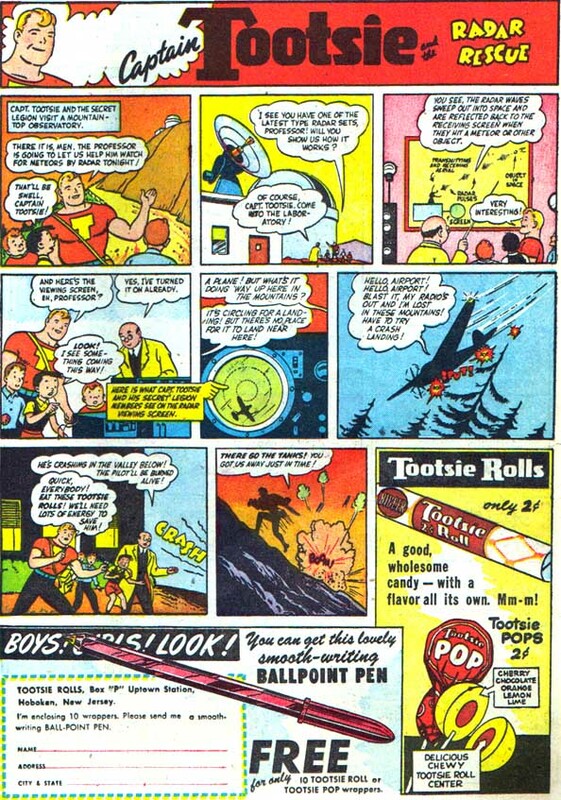 Under Melvin Gordon’s leadership beginning in 1962, Tootsie Roll Industries gobbled up a slew of competitors like Dots, Crows, Charms, Sugar Daddy, Junior Mints and Charleston Chew. In 2000, they bought Andes Mints, and in 2004 Tootsie bought Concord Confections, makers of Dubble Bubble. 12. SALES ARE ANYTHING BUT SWEET THESE DAYS. Tootsie Roll Industries saw tremendous growth throughout most of Gordon’s tenure. But sales have slid in recent years as the candy industry has evolved, and lately the company has been acting a bit too old fashioned for investors’ liking. This has prompted many investors and analysts to wonder how many more licks it can take before selling.